No sooner had the DTS Rep left us with his demo kit and we had a couple of demo units show up courtesy of Jeff at EMD/Stagg. Jeff first showed us these units back in April when they were in prototype so we were very pleased to see the finished version. 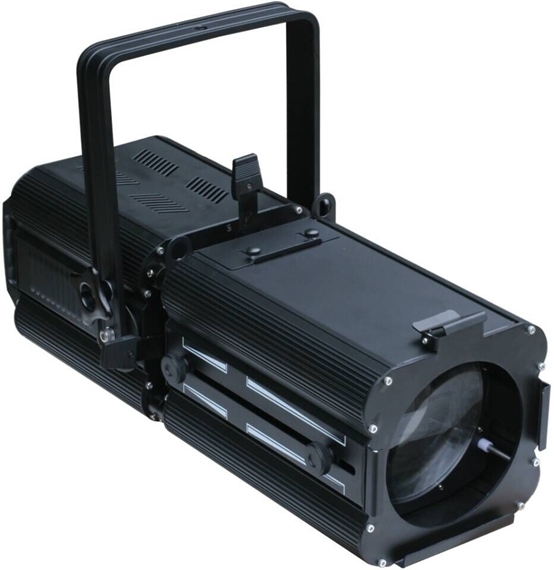 They're intended to slot in at the school/little theatre end of the market where budget isn't so generous but the demand for reliability and light output is similar to larger professional spaces. As always the LED's come in two separate colour temperatures which equate to cool white and warm white. There's no price differential involved so it really does come down to personal preference. The Fresnel is a little longer than a Minuette profile and weighs in at a chunky 7.5 kilos. The light output is even and impressive (mostly because the COB doesn't need anything special to help collimate the beam we suspect) and wouldn't look out of place on a lighting rig mixed with generic lanterns. Light output: 6100lux at 4m (13.1') at 17° beam & 1600 lux at 4 meters (13.1') at 50° beam. 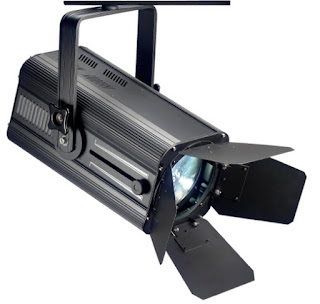 The Profile matches the Fresnel nicely with a relatively crisp beam for a unit at this price. we're slowly working in Jeff to ask for an RGB version so that colour changing gobo's and specials become easier! We've got a demo unit of each of these units here in Birmingham so if you'd like to call over and see them or perhaps have a demo in your own space - give our sales desk a call!